Ah surein’ it’s your pithy and insightful commentary they’re actually tunein in fer! They’re probably all waitin for yer analysis of Tanith Lee, too! Spooks love Tanith Lee, its well known! The Secret Books of Paradys are among their favorites, they just love secrets! The U.S. really shouldn’t view you as a threat. Today, after all, we’re celebrating our revolutionary overthrow of British imperialism…right, guys? Right? Excuse my ignorance but could you expand on how you know your blog is being surveiled? Google analytics and other means. Almost certainly it is just robotic programs automatically flagging the site every now and again because of key words or phrases rather than any organised surveillance, human or otherwise. 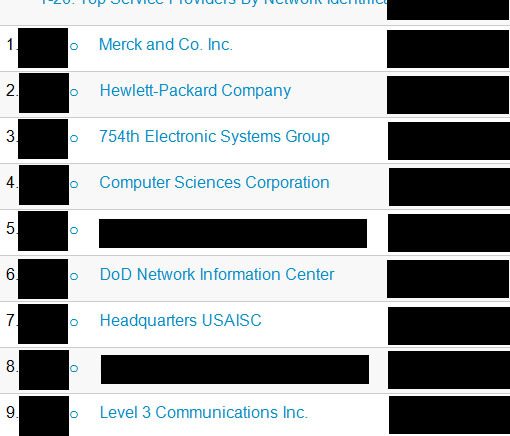 The real cyber-spooks don’t leave traces 😉 It simply illustrates the gigabytes of computing power devoted to mass surveillance that even a minuscule and insignificant website like ASF can be “flashed” every now and again. Hell, there is probably gardening forums being visited if someone mentions “napalming” the weeds in the back garden. It doesn’t require human agency, unless something genuine turns up when the bots visit a site. And even then the information flagged as of interest will have been sifted through gradually more sophisticated programs before reaching human eyes (if ever). Thanks,ASF. I am somewhat how you say technologically illiterate. But i did get the gist of what you said☺. A persistant worry of mine is being hauled off at an airport or something over some innocuous comment made out of context. Ah, I don’t think so. It’s far more likely that most people would face their manager and HR representative querying a few drunken Facebook pics, than cops and spooks 😉 In terms of actual human surveillance (“spying”) existing and future employers are the intrusive ones, especially in the United States. In Ireland and Europe we have EU regulations which limit that type of trawling on social media when it comes to employees. You certainly wouldn’t get away here with demands to user names and passwords, which happens in other countries. Of course you get the odd idiot police force arresting some dude because of a humorous tweet taken out of context. That’s why i am not on Facebook and never post in my real name and never giver personal details on the net. By the way,just found your blog and i am liking it. Thanks, hope you find a few things of interest. That reminds me of a blog post written by Robin Hobb/Megan Lindholm where she complains of always being stopped for ‘random’ security checks in US airports. Seems to be more to it than paranoia but who knows. Any troubles during your recent trip Sionnach?? Well… I was the only one of the group flying over to be stopped and given extra checks but I’m pretty sure that was just a random thing. I think! 😀 That Hobb trip was pretty eventful. There is the phenomenon of being tagged initially, at random, for a check but then if you are checked again not long after, at random, it sort of creates its own feedback loop, where you are likely to be checked again and again and again.